Massoud Hassani grew up in Afghanistan on the outskirts of Kabul. As a child he made wind-powered toys that he raced with his friends in the windswept desert near his home. He says, “most people who live in Kabul know somebody who has been hurt or killed by a landmine.” After the loss of his father, he was smuggled out of the country by his mother and was accepted as a refugee in the Netherlands. Years later, inspired by his childhood toys, Hassani designed the Mine Kafon, a wind-powered minesweeper. Clearing mines by convention means is estimated to cost €1,200 per mine, but the Mine Kafon is made from materials that cost just €40. With each explosion, the device loses a few legs but continues to roll and can potentially destroy various landmines in one journey. 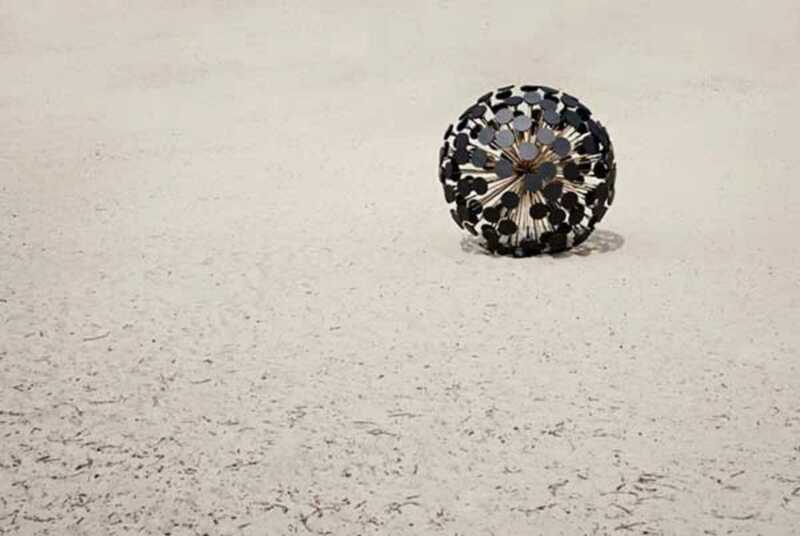 Mine Kafon was acquired by the MoMA in New York and Hassani and his project have received multiple awards. He gives a free talk (in English) at the city’s new design museum as part of its ongoing exhibition, Design for Life.